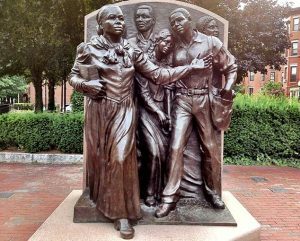 Celebrate Women’s History Month by joining Mary Smoyer to hear the stories of women who have been honored with statues in Boston – Harriet Tubman. Anne Hutchinson, Mary Dyer, Abigail Adams. Lucy Stone, Phillis Wheatley and on Cape Cod — Rachel Carson, Mercy Otis Warren, and Katherine Bates. Reception and light refreshments to follow.